The global market for construction machinery grew by a quarter in 2017, proving that construction plant hire is a growing industry. There are many reasons for why construction machinery will be needed by the sector. From building a house to raising a skyscraper, there is a range of equipment needed to make it happen. Building for housing, hospitals, schools, offices, leisure centres, warehousing units and everything in between all require the right tools to fulfil the job. Because of the temporary nature of construction sites, many businesses prefer to hire the machinery instead of acquiring it themselves. As such, they go through tool hire companies. In 2017, global unit sales of construction machinery grew by 27 per cent from the year previous to 894,000 units worldwide. That’s the highest increase the market has seen since 2012, according to the report by Off-Highway Research. Construction machinery includes everything from articulated dump trucks and excavators to rollers and dump trucks. 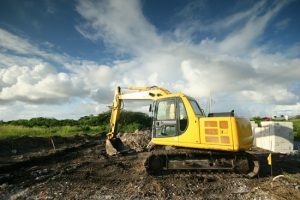 In the UK specifically, unit sales of construction and earthmoving equipment grew by 7.6 per cent in 2017, according to the Construction Equipment Association. Excavators, wheeled loaders and crawler excavators were the main pieces of equipment which drive the growth. As you would expect, in the construction plant and tool hire industry, there is a range of jobs which cover an array of skill sets. From office-based hire managers, sales representatives and service advisors to HGV drivers and engineers. These roles have responsibilities that include building lasting relationships with repeat customers, organising transport, resolving customer queries/complaints, transporting the delivery as well as maintaining and resolving issues with the construction machinery. If you are looking to find a job in this exciting, thriving industry that’s going from strength to strength, at Embark Recruitment we have a range of roles in the construction plant hire industry. Take a look at our current jobs or call us on 01530 588841 to discuss the kind of roles you are interested in.